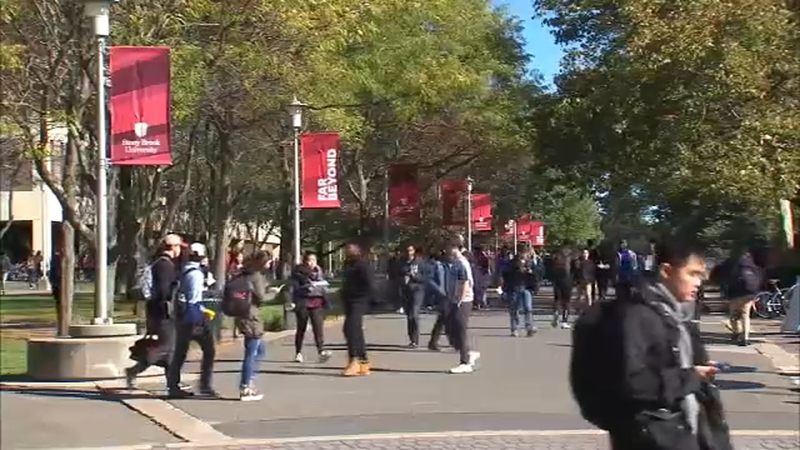 STONY BROOK, Long Island -- The traditional roles of homecoming king and queen are being replaced this year at Stony Brook University for a more gender-inclusive group dubbed "Royals." Three students, instead of the traditional two winners, will be crowned Royals. "So even more people get to have the honor of being royalty and showing that we support the cause of being inclusive," said student Grayson Valentino. The winners will have their choice of wearing a crown or a tiara. Shayne Clark said if she wins she will choose the crown. "I like the idea that it can be mixed up that everyone can choose to be, like, be their Royal," she said. Ten students, including Clark, have been accepted into the "Court" and are now competing for the title of Royal. It's based upon the students' level of school spirit, campus involvement and their performance in a talent show Thursday night. "It doesn't take away any opportunities from students who would like to be either king or queen. You can still apply. It's just the title is different," said student RJ Samodal. Student Nicole Olakkengil said she is proud of Stony Brook for taking the progressive step. "I feel like the fight for gender inclusivity for making people feel more included starts in our own hometowns," she said. Jeff Barnett, the associate dean of students, said the university had been thinking about the change for a few years. "As an institution we've become really more committed to diversity and inclusion on campus," he said. The winners will be crowned though in the traditional way -- at the homecoming football game on Saturday.